Elections Commission has held a draw to assign candidates running for the upcoming Presidential Elections with their candidate numbers. 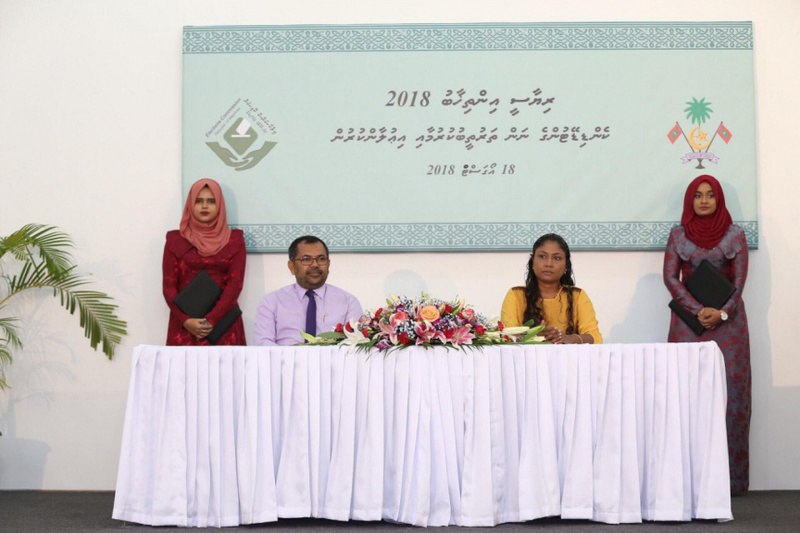 The draw was taken on behalf of incumbent President Abdulla Yameen Abdul Gayoom by deputy leader of Progressive Party of Maldives (PPM) and Minister of Tourism Moosa Zameer, and on behalf of the opposition by official elections agent, Hisaan Hussain. Yameen drew No. 1, while opposition’s candidate, MP Ibrahim Mohamed Solih drew No. 2. Speaking to press after the draw, President of EC, Ahmed Shareef said campaigning for the elections is now officially open. But warned candidates to adhere to the handbook they received this Saturday. “No candidate should do anything to campaign which could infringe on the campaigning rights of another candidate. They should not spread any misinformation about a candidate,” said Shareef. Shareef said the campaign guidelines have been set in the laws, and that candidates have the right to meet voters, peaceful assembly and use of media.